After two decidedly below-par albums in 1980's "The Game" and 1982's "Hot Space", Queen hit back, hard. Recording in the USA for the first time, the revisited their rock roots but managed to merge it with contemporary radio-friedly "pop"/dance sounds. It was 1984, so the airwaves and recording studios were awash with synthesisers and programmed synth drums. Why, even The Rolling Stones were at it. Where Queen filed on "Hot Space", they got it just right on this impressive album. After some distinctly ropey songs, Roger Taylor came up with one of his finest compositions for Queen - the synth riff and synchronised handclap dominated perfect pop single, "Radio Ga Ga", which melodically railed against the old enemy - the radio. Elvis Costello and The Clash had done so in the new wave years. 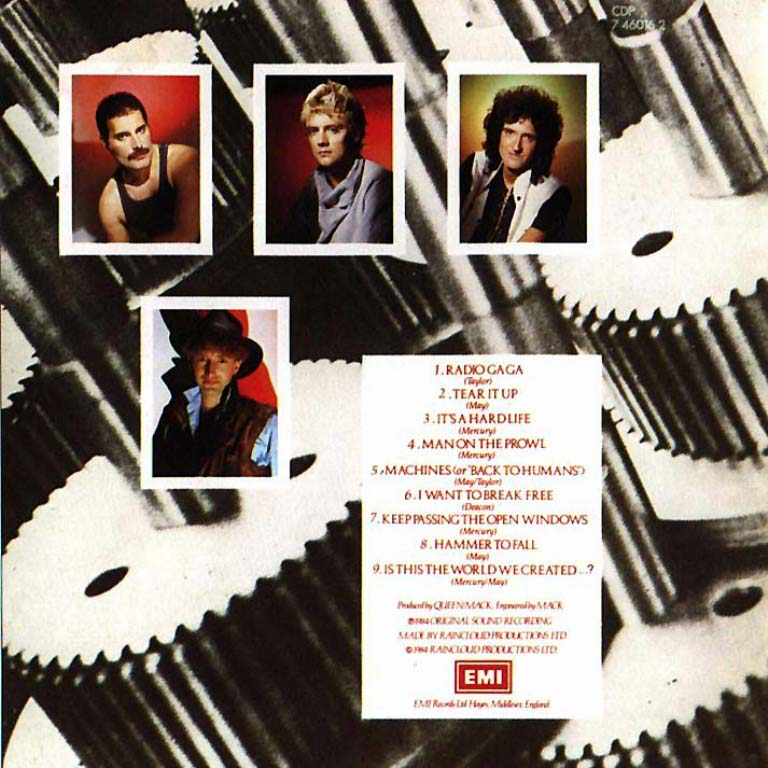 "Tear It Up" was a Brian may-inspired slab of convincing hard rock, with May himself on vocals, while "It's A Hard Life" was a classic Mercury rock ballad with an addictive hook, as always. Mercury returned to his beloved rockabilly for the upbeat, toe-tapping "Man On The Prowl" and "Machines (Or Back To Humans)" was a successful attempt at experimental sounds mixed with some genuine funk. They finally got it right on this strangely appealing effort. Some great Brian May guitar at the end of it. "I Want To Be Break Free" was one of bassist John Deacon's best ever Queen songs. Assisted by a now iconic video featuring the band members in full drag and doing the hoovering and ironing, it is perfect in every way. Another excellent guitar solo and an impressive Mercury vocal. The melodic, harmonious rock of Mercury's "Keep Passing The Open Windows" is a forgotten but underrated track. Listening to it now I hear things in it I had completely forgotten about. It is not bad at all. Now, thank the Lord above - Queen in their purest rock form, my favourite persona of the band, are back, and how! A powerful Brian May riff introduces the tour de force of rock that is "Hammer To Fall". Mercury's vocal is peerless and a year later the band would storm "Live Aid" with this. Queen at their very best, in my view. I can never get enough of the song. 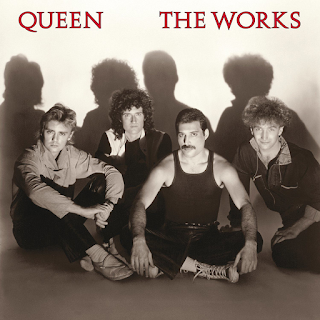 Finally, the album ends with Mercury and May's beautifully sad ballad concerning the contemporary news of poverty and starvation in Africa, "Is This The World We Created". Sung as an encore in their "Live Aid" set. A more than convincing album after around seven years of patchy material.